It is the accepted conventional wisdom that if you want to play DOS games from the DOS era (1988-1996) you will need some form of Sound Blaster card or compatible. However, not everyone could afford a Sound Blaster card or felt the need to upgrade to a Sound Blaster from their Adlib or even their PC Speaker. What was compatible with a Sound Blaster? In the first few years of the line, not much. Software that supported the Adlib or (sometimes) the Game Blaster were upwards compatible with the Sound Blaster, but it did not work the other way around. Early competitors like the original Mediavision Pro Audio Spectrum and Covox Sound Master II were not compatible with the Sound Blaster outside Adlib support. MIDI-based devices like the Roland MT-32 and Roland Sound Canvas were never Sound Blaster or even Adlib compatible. Sound Blaster clones like the Thunderboard and the Aztech Sound Galaxy series either reverse engineered the Sound Blaster or used Creative Labs-supplied chips. The Pro Audio Spectrum Plus/ 16/Studio contained a Thunderboard, so its compatibility with software supporting the Sound Blaster 2.0 or lower was high. Later cards like the Yamaha YMF-71x series also had high Sound Blaster Pro 2.0 compatibility (but would not play all Duke Nukem II ADPCM sound effects, see below). OEMs like Dell, Compaq and Gateway often included no-name cards with Crystal or ESS chips that provided workable Sound Blaster compatibility. 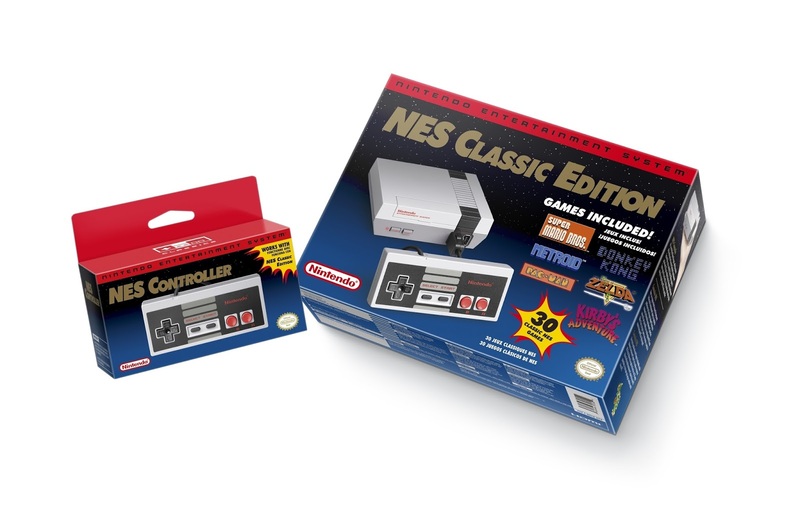 On July 14, Nintendo announced that it would be releasing a "new" console, the NES Classic Edition. For Europe, it is called the Nintendo Classic Mini. It will be released on November 11, 2016 and will cost $59.99. The console is an emulation box will include 30 built-in NES games. The NES Mini will have an HDMI port for audio and video. It supports two controllers, which look identical to the standard NES controller except for the Wii connector plug. One will come with the system. A second controller will cost $9.99 and will be available for purchase separately. The NES Mini will be powered by a USB port. The North American version will come with an AC adapter, but the European version will not (presumably because of the different shapes of the power sockets across Europe). New games cannot be added to the console and it cannot connect to the Internet. That dust cover flap is not real and the device cannot work with cartridges. The USB port is for power only. The NES Classic will be a small console, it can fit within the palm of an adult hand, but the controllers will be full-size like the original 7-pin controllers. The cables are rather short compared to the originals, they look to be about 3' long instead of the 6' we enjoy with the 7-pin plug. The Power and Reset buttons work like the originals (spring/latch and spring). Abraham "Bram" Stoker died on April 20, 1912. When he died, his estate consisted mainly of his literary work. To support his wife Florence Stoker, the only work with any continuing market value was his most famous novel, Dracula. Unfortunately, that revenue was not particularly impressive at the time. In 1921, Albin Grau had co-founded a studio called Prana Films and decided to make a loose adaptation of Dracula. This film was finished in late 1921 and released in 1922 and called Nosferatu, eine Symphonie des Grauens. 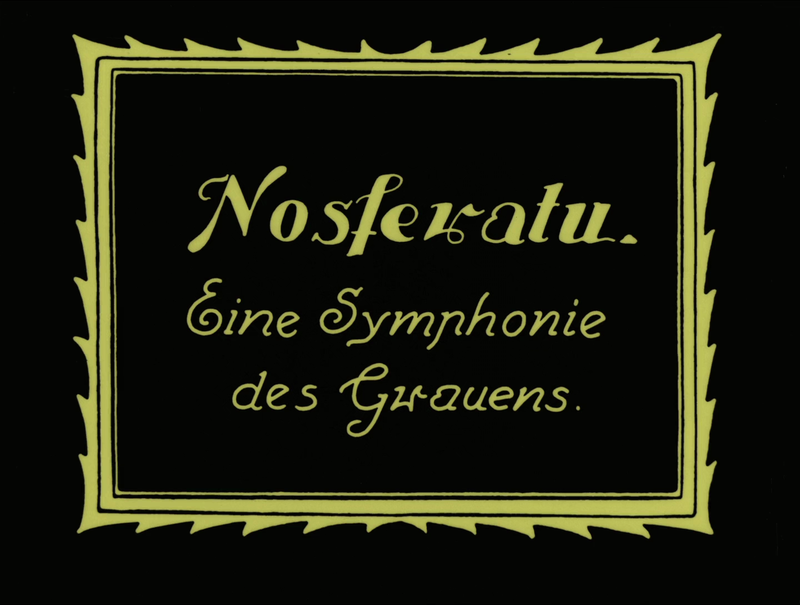 It has become a classic film of the German Silent Expressionist movement. It has widely been considered to be in the public domain, but as I will show here, that may not necessarily be the case. I am going to discuss a pair of video topics in this post which do not by themselves merit full blog entries on their own. Each discussion will have a link to a Youtube video demonstrating the topic discussed. Someone remarked on the VOGONS forum that certain 16-color LucasArts SCUMM games, Indiana Jones and the Last Crusade: The Adventure Game and LOOM, do not support Hercules Graphics. Earlier SCUMM games, Maniac Mansion and Zak McKracken and the Alien Mindbenders support Hercules Graphics in both their original and Enhanced releases. The Secret of Monkey Island, which came immediately after LOOM, also supports Hercules Graphics in its original 16-color release. In September of 1997, I considered myself a very lucky person. I was in my freshman year in college and I quickly fell in love with the high speed internet access available to colleges and universities. 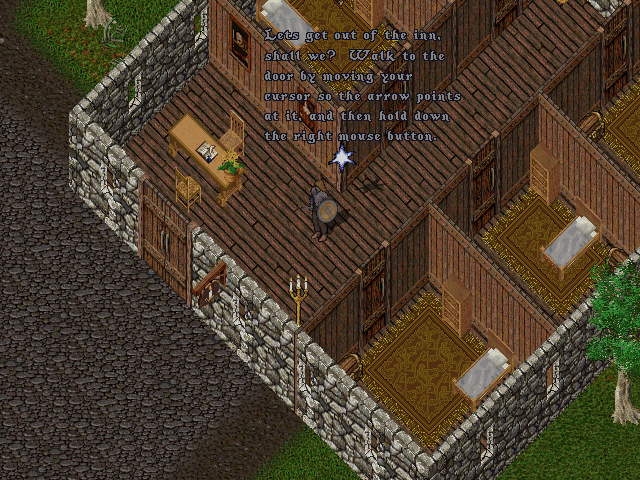 I was looking for a new game to play and Ultima Online was the game I had to play. I had ordered it and it shipped to my home address, but my mother drove an hour to deliver it to me at college so I would not have to drive home in the middle of the school week to take possession of it. In those days, you had to pay full price for the game ($64.95) and an additional monthly subscription fee ($9.95). I did not buy the Charter Edition (which came with 3 months free), I bought the regular retail edition. That edition came with the cloth map, the UO pin and rather sparse documentation. I was puzzled because there was little more than a pair of quick reference cards to tell you how to play this massive game. Nonetheless, I installed the game on my computer, registered an account, gave my credit card information and began my journey by logging in. The Game Boy Color is often seen as something of a stop-gap. Released in late 1989, the original monochrome Game Boy was already nine years old when the GBC was released in 1998. Color had already come to handhelds with the Sega Game Gear and the Atari Jaguar, but the Game Boy had firmly established its dominance over those competing systems and every other competitor. The GB had several advantages over its rivals, lower price, Tetris and a much higher battery life. Nintendo was designing a true 16-bit successor to the GB, but it would take time. By 1997, the GB's lifespan was already unprecedented in terms of a console generation, and sales and games were slowing. So in order to extend the life of the basic 8-bit design, Nintendo decided to add color capability. Instead of four gray shades, you could have up to 56 colors chosen from a 32,768 color palette. CPU speed was doubled, CPU RAM quadrupled, Video RAM doubled. A higher speed Game Link connection and an optional infrared port was now available. Sound capabilities and input remained the same.